Do you have a habit of forgetting things? We need to perform, follow, and organize several tasks in daily life. They include creating office documents, meeting clients, preparing business presentations, shopping, and others. Forgetting those tasks will affect your productivity and peace of mind. Is it possible to memorize all our tasks and finish them one-by-one like a machine? Nope. In olden days, we were using notebooks to write down important upcoming dates, events, shopping list, and others. But it is not practical now. Thankfully, there are several to-do list apps that help you to create and manage tasks. Set a date and time for them to get reminded. The app will alert you in time irrespective of the device you use. Using to-do list apps will enhance your work efficiency and supercharge the productivity level. They can also be used to create shopping lists, project management, and collaborate with team members to ensure a smooth workflow in the organization. In this article, we pick 9 best to-do list apps to organize your work and life. Any.do is a simple task manager to keep all your tasks, lists, events and reminders in one place. It comes with a simple, beautiful interface and automatically syncs across all your devices. The app will capture tasks by notes, voice and smart suggestions of Any.do assistant. 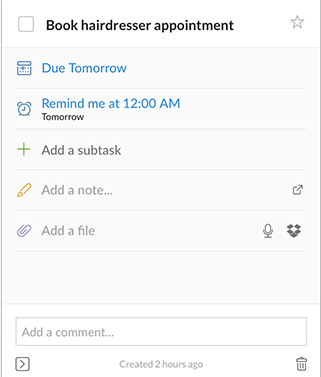 You can share lists with family members or assign tasks to teammates for a smooth, uninterrupted workflow. It is easy to use and you can monitor the tasks on a daily, weekly and monthly basis. Todoist is one of the popular to-do list apps to create and manage tasks. It allows you to share unlimited tasks with anyone, create projects, assign duties and collaborate to achieve the goal. Users can easily set due dates for the tasks and divide big tasks into smaller multi-level sub-tasks. The due date may be one time or recurring like “every Monday at 11 am”. It will notify you via email and push notifications if any important changes made in the shared projects. With color codes, you are able to set different priority levels for each task. Premium subscribers will get more advanced features such as reminders, comment options, ability to attach PDFs and photos, labels, location-based alerts etc. Wunderlist is another app to create and manage your personal as well as official to-dos. It will remind you about the tasks- whether it is a travel plan or team meeting- and ensure to get the stuff done. It is an excellent tool for project works where you can easily share the lists, collaborate, add notes, accept comments, set due dates and more. Make use of hashtags and folders to quickly locate similar to-dos or group them under a specific head. 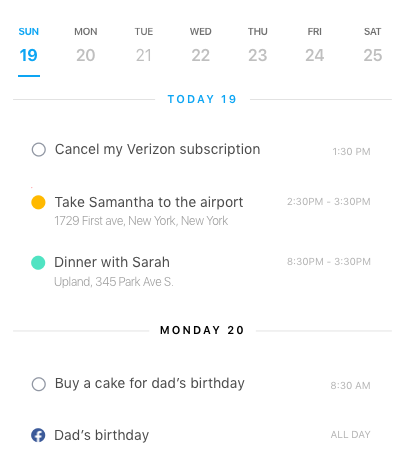 It is one of the best to-do list apps to organize and share your plans. Microsoft’s intelligent assistant automagically prioritize your tasks and lets you track them in the easiest way. 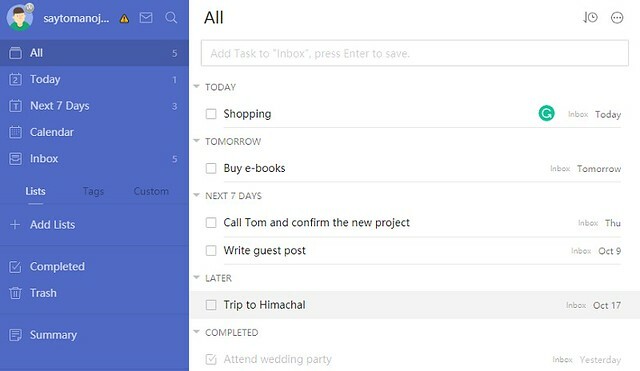 From home to office, Microsoft To-Do is the perfect tool to create lists for anything you want. Whether it’s a grocery list, important client meeting or household to-dos, you can set deadlines and personalize them with different themes to quickly identify them. Office 365 integration is another advantage of the app. Remember The Milk is my favorite app for task management. It’s not just for creating grocery lists, you can create and manage any kind of to-dos with the app. It’s super flexible and allows you to organize stuff in several ways. You can divide big tasks into unlimited smaller tasks even in multiple levels to better organize them. They can also have separate due dates, tags etc. Using drag and drop feature, you can quickly reorder tasks or move them into a different list, tag, location and due date. Colorful tags are useful to arrange similar tasks together and locate them in a single click. 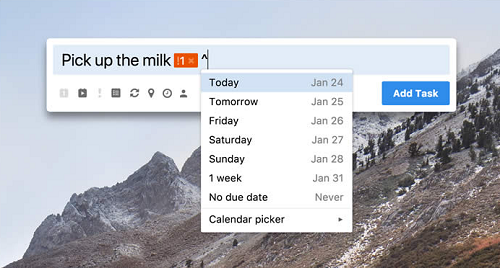 Custom sorting, grouping, individual reminders are some other features of Remember The Milk. Evernote is an all-in-one app for taking notes and project management. It is a perfect tool to organize your notes, to-do lists, projects, web clippings from one place. Evernote is an imperative tool for modern people to save anything they found on the web. It will work as your notepad, document scanner, to-do list, planner, and reader. Its scope of work is beyond your imagination and will do several things to keep you updated, smart and productive. TickTick is another cross-platform to-do list app that will enhance your overall productivity. It comes with an addictive interface and highly responsive layout where you can add to-dos and lists, set due dates, and monitor them from any device you use. I started using TickTick in recent days and impressed with its quality, and features. It is easy to use and lets you group the lists with folders. A reminder is created automatically based on the date and time you entered. You can set multiple reminders to make sure that no task is forgotten in any situation. TickTick also allows you to prioritize the important tasks and receive the location-based alerts when you are in travel. SplenDO is one of the top to-do list apps for Android users. It is user-friendly and allows you to group tasks under different heads like personal, office, shopping etc to quickly identify them. It even supports adding tasks via voice and shows smart home screen widgets to quickly know about the upcoming tasks. The to-dos are automatically synced with Google and you can share them with other apps also. SplenDO is highly customizable and lets you plan, organize the lists in various ways. Asana is a brilliant app to plan, organize and track your work. Unlike other mentioned to-do list apps, it mainly focuses on official projects and makes sure everything gets done in time. Make your to-do list as simple or detailed as you need. Add details to each task such as description, attachments, due dates and other necessary instructions to complete the work. It will remind you about the upcoming to-dos in advance and thus ensures that you reach the target without any mistake. 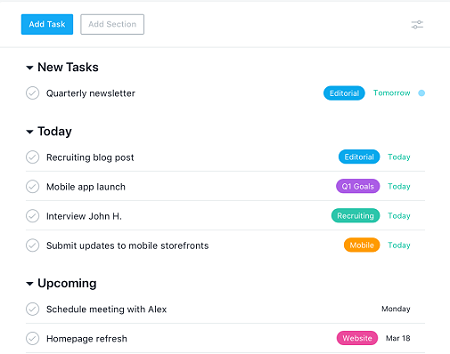 Asana is an advanced task management solution for the companies where you can divide tasks into subtasks and assign them to the different teammates. It enables teams to easily monitor projects, tasks, conversations and evaluate the work progress right from the dashboard. Efficient planning and team conversations are ideal to enlighten your way with positive thoughts, enthusiasm which will ultimately smoothen your workflow. 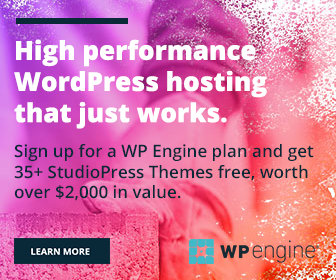 The app is well integrated with popular apps like Dropbox, Chrome, Google Drive, Slack, Github and makes you more productive. Are you using any to-do list apps? Which is your favorite?